The study was conducted to improve the internal control system of LPD X in the credit process. The development of the LPD X increases the manager's responsibility and the increased risk of the LPD X. One of the risks in LPD X is the credit risk. With the credit process carried out at present the non-performing loan (NPL) value of LPD X in the last 3 years are 10.69%, 24.38%, and 26.64% (LPD X, 2017a). This study refers to research conducted by M. D. K. Dewi & Suryanawa (2015); Sarifah (2017) about the internal control system in LPDs. The theory used in this study is the accountability theory to look at LPD X accountability in credit procedures. The methodology used in the study is a case study to be able to examine the NPL phenomenon in LPD X more deeply and can provide an evaluation for LPD X management. Data collection is done by observation, document study, and interview. The results of this study indicate that the efforts made in handling credit collection conducted by LPD X have not been effective as stated in the comparison theory and company. ARTHA ARYASA, I Putu Gde Chandra; HARJA WASISTHA, Gede. 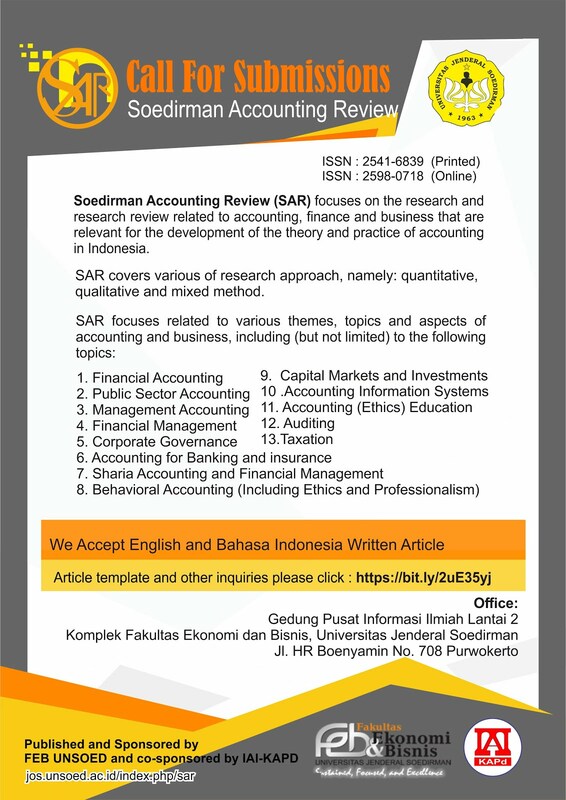 SISTEM PENGENDALIAN INTERNAL UNTUK NON-PERFORMING LOAN PADA LEMBAGA PERKREDITAN DESA (LPD) X. SAR (Soedirman Accounting Review) : Journal of Accounting and Business, [S.l. ], v. 3, n. 2, p. 141-159, dec. 2018. ISSN 2598-0718. Available at: <http://jos.unsoed.ac.id/index.php/sar/article/view/1253>. Date accessed: 21 apr. 2019. doi: https://doi.org/10.20884/sar.v3i2.1253.